I’ll admit I had some anticipation leading up to the release of this Marvel comics adaptation. Last time we got to see the character was in the ill-fated Spider-Man 3, of which I recall the Venom aspect being one of the better parts. So with the casting of Tom Hardy, an actor who often takes to a challenging role with relish and (usually) delivers … this just couldn’t fail. Hardy plays TV reporter Eddie Brock who comes into contact with the alien substance after investigating a crooked business man who is doing shady experiments, and soon finds himself part man part alien when the substance uses Eddie as a way to break free from a top secret facility. Nothing that original plot-wise and an underwhelming feeling doesn’t stop there despite some recognisable names amongst the cast and a cool shape-shifting character at it’s core. Yet as it turns out neither the film makers nor the cast seem to know how to handle the material. 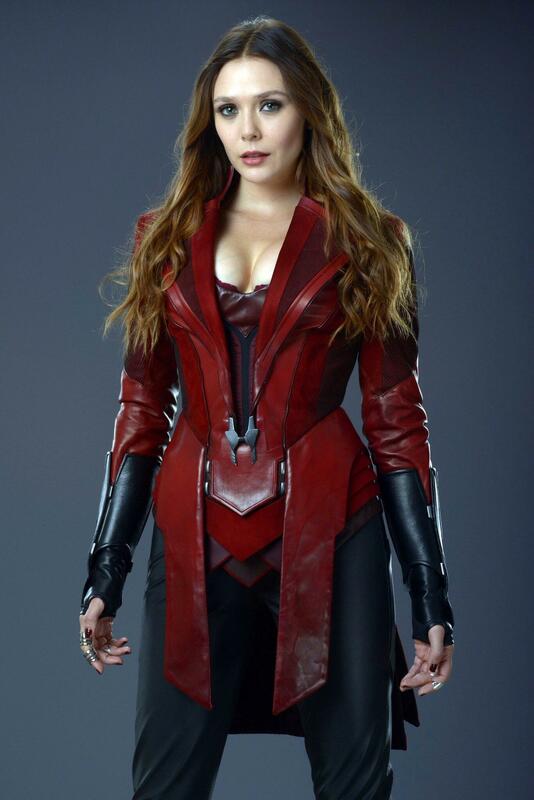 This is not helped by actors (especially Hardy) who come off as uncomfortable and uneasy with their own performance (along with a dodgy American accent) and even Michelle WIlliams, usually dependable (she’s great in The Greatest Showman) phones her role like she’s only eyeing up a pay cheque. Villain Riz Ahmed, decent in other movies I’ve seen him is is woefully miscast here also. 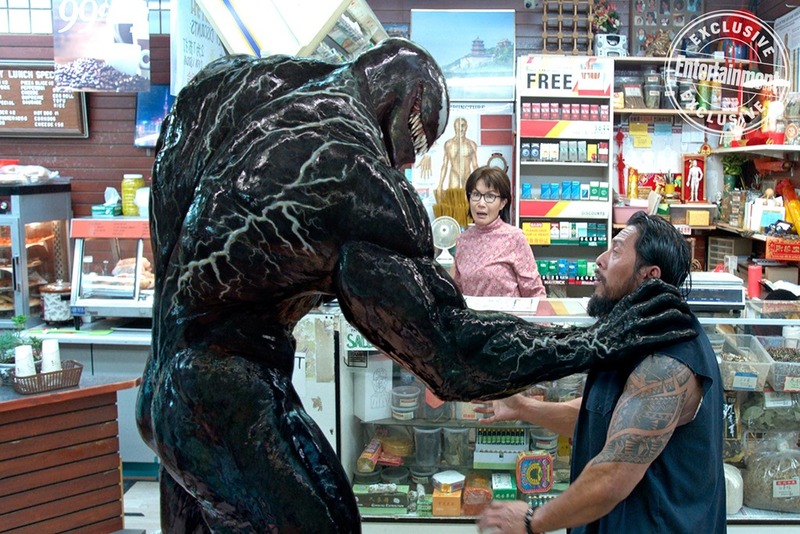 The movie does have a couple of things going for it … when the action finally turns up it’s pretty fun with the way Venom / Hardy uses his powers to take on bad guys and scale buildings, and the effects work is generally decent. Also once we get he banter going between Venom & Hardy, there’s some fun interplay between the two characters. However as a movie it’s far too focused on a limp script and under-developed characters I’m not sure what went wrong. Studio interference? Bad direction? Whatever it was, the problems are all their, clear as day on the screen. Disappointing. I can’t say I was particularly enthused at the prospect of seeing this, despite rave opinions from people I know who had been. I have a bit of an uneasy relationship with musicals, and they have to be particularly good to win me over. This based on true events depiction, has Hugh Jackman as P.T. Barnum, a man who rose from nothing to become one of the pioneers of show business as we know it. I can’t say I was particularly familiar with the story but as soon as this started, I was transfixed. Jackman, who of course I mostly associate with Wolverine, is a revelation as Barnum and commands the screen with total, Hollywood magnetism and presence. His rags-to-riches story whilst somewhat clichéd is classic stuff and made me think of Charles Dickens books along with Rogers & Hammerstein musicals of yesteryear. You know – back when Hollywood did it right. Add at times breath-taking choreography and several stunning set pieces, with grand set design, colourful costumes and eye-catching cinematography and this was a real treat for the senses. The songs, if at times a little ‘samey’ are foot-tapping and enjoyable, aided by larger-than-life performances from also Zac Efron and Michelle Williams and a plethora of colourful characters … and well, sometimes it’s overwhelming but never boring. The movie seems to stumble a little in a plot device with a famed Opera Singer and although essential to the story, takes things in a direction that isn’t quite as much fun … but then comes back again to deliver a great feel good ending that left me wanting to stand up and applaud. This movie’s been a bit snubbed by the Oscars and that’s a shame as really, a night out at the movies doesn’t get much better than this. Essential. I haven’t seen the much admired and cherished classic The Wizard Of Oz for many years. Why? It freaks me out. Something about it just gets under my skin, and that wicked witch … shudder. However on hearing this was coming out I at first really wanted to see it, but several very mixed reviews from friends later, let’s just say I hesitated … until now. James Franco is Oz, a carnival magician and conman who after one too many deceits finds himself running away from his troubles in a hot air balloon, only to get caught in a tornado, which subsequently whisks him away to the land of Oz. This little prologue like the 1939 original is shown in black and white (and even in classic 4:3 ratio) until Oz arrives in the magical world and then its all bold colors and CGI. Now in this modern age, we should have one wish when being presented with a new vision for the land of Oz, and that is ‘wonder’ … we want this enchanted world to be realized like never before, and rest assured folks we get what we wished for, with some gorgeous, eye-popping visuals, grand set design, very impressive CGI and color – oh the color! Joining Oz on this trip down cinematic memory lane is current hot property Mila Kunis (looking great in leather pants) as good witch Theodora, along with her sisters Evanora (Rachel Weiss) and Glinda (Michelle Williams). Performances are good, especially from Weiss in possibly her first villainous role, and with a story that offers enough nods to the original whilst throwing in some great ideas of its own (good flying monkey ‘Finley’ and an impressively done china doll) this proved very entertaining. For an Oz movie however this lives or (slightly) dies on just how wicked the Wicked Witch is, and sadly here she may look the part (she’s green, has a pointy hat and rides a broom stick) but performance-wise, she comes off as a spoiled brat having a tantrum. And yes it may be aimed at a family crowd, but the Wicked Witch is meant to be scary! Add to this the absence of songs (surely another lasting memory of the original) and a hero who is basically a bit of a git, and yes, it does have a few problems. Yet Franco and the rest of the cast give it their all and under the watchful eye of director Sam Raimi (Spiderman, Evil Dead) the sheer infectious energy and visual explosion on display makes such short comings mostly forgivable. Whilst not quite Judy Garland’s Oz, its still the same, magical experience. I come to this movie at a loss, as I don’t really have much knowledge of movie star Marilyn Monroe beyond her iconic image and an old Elton John song. That isn’t to say that her enduring iconic beauty hasn’t fascinated me. This movie attempts to show a candid, little seen side to the actress, from the viewpoint of a relative outsider to her harem of agents, acting coaches and bodyguards. Colin Clark is a young man from a wealthy English family who yearns to be a part of the movie industry, so lands a job as an assistant director on a movie being directed by and starring Laurence Olivier. Yet the big name isn’t the famed english character-actor but that of his co-star, Hollywood superstar Marilyn Monroe. During the time on the movie Colin finds Marilyn not to be the confident, bold personality he’s been lead to believe but that of a shy, nervous and over-protected woman … who he falls in love with. This is a movie boasting a trio of excellent performances, and a story that sheds light on someone who was otherwise hidden behind a fake manufactured image. Marilyn is heart-breaking and tragic, but also endearing and funny; a free spirit not unlike Princess Diana, equally trapped in a world that suffocates her. I felt very sorry for her, and Michelle William’s remarkable performance really captures the frightened little girl inside. Kenneth Branagh is very good too as Olivier, coming across at first as hard-nosed and tough, whilst also gentle and caring, and is quite a joy to behold for an actor better known for his stiff Shakespearian roles. Yet I’m guessing the most impressive performance here is from Brit actor Eddie Redmayne as Colin, who falls for a legendary actress, and discovers the person within, at first star-struck, then totally captivated and understanding, to the point wanting to protect and save her. Yet Marilyn was too big a star to ever really be saved, and therein lies the tragedy of the real person beneath the glitz and glamour. Harry Potter’s Emily Watson is waisted however as a wardrobe girl, and the movie fails to truly explore Marilyn Monroe, her time on the movie being all too brief to capture who she really was. Yet as a snapshot this small but enjoyable tale entertained and left me with an image of one of the world’s most famous actresses, unlike I had ever imagined. With a director who has worked with some of the greatest actors of our time, Martin Scorsese’s on-going partnership with Leonardo DiCaprio seems a marriage made in heaven, most brilliantly realised in The Aviator. This latest offering has the director tackling a more Hitchcockian thriller with elements of Stephen King meets David Lynch, and the result? DiCaprio plays a U.S. Marshal called to a psychiatric hospital on a remote island in the 1950s. A female patient has vanished in mysterious circumstances, and he and his partner (Zodiac’s Mark Ruffalo) must figure out what has gone on while at the same time mix with a group of doctors and psychiatrists – headed by Ben Kingsley on brilliant form. But DiCaprio has his own agenda, as he believes the man responsible for his wife’s murder some years previous is housed on the island. Yet as this is Scorsese, an at first simple story boasts something all the more intriguing and to be honest, wierd as we are subjected to disturbing flashbacks of German concentration camps, freaky hallucinations of DiCaprio’s dead wife (Dawson Creeks Michelle Williams) and it soon transpires – nothing is quite what it appears to be, both as far as the investigation goes and the movie as a whole. Martin Scorsese has crafted a mind-boggling but striking movie, full of twists and turns and with some incredible imagery, that although more disturbing than frightening still left this viewer unnerved. There are moments in this one that will stick with you, some imaginative effects work and a foreboding, orchestral score that really hammers home the dark and unsettling atmosphere created by the island and the gothic psychiatric hospital that harks back to The Shining for being a character in its own right. Definitely one of the cleverest movie’s I’ve seen for a while.